The Pillowman is an utterly unforgettable masterpiece from one of Ireland's most treasured writers. First performed at the National Theatre in 2003 starring David Tennant and Jim Broadbent, The Pillowman is guaranteed to have you on the edge of your seats from start to finish. This dark and funny play tells the tale of Katurian, a fiction writer living in a police state, who is being interrogated about the gruesome content of his short stories and their similarities to a number of bizarre child murders that are happening in his town. The play received the 2004 Olivier Award for Best New Play, the 2004-5 New York Drama Critics' Circle Award for Best New Foreign Play, and two Tony Awards for production. It was also nominated for the 2004 Evening Standard Award for Best New Play. 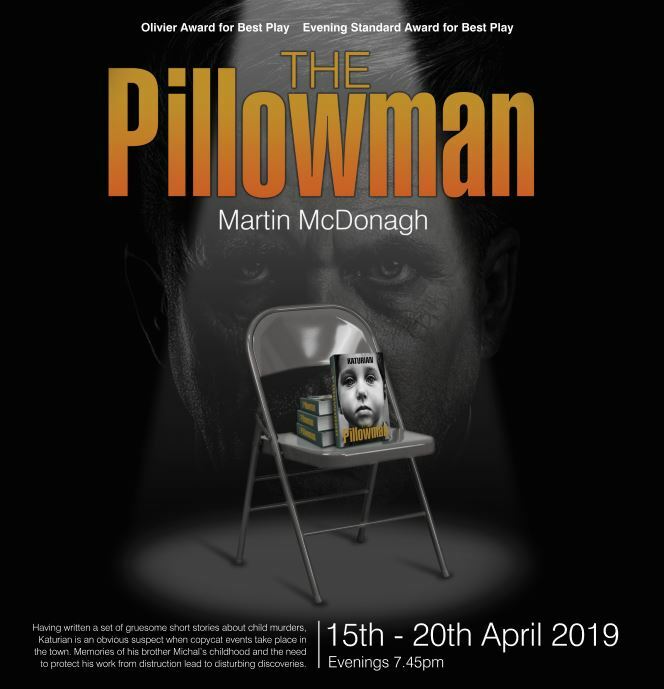 Please note that The Pillowman contains very strong language and deals with some subjects in a way that some may find offensive (or hilarious).